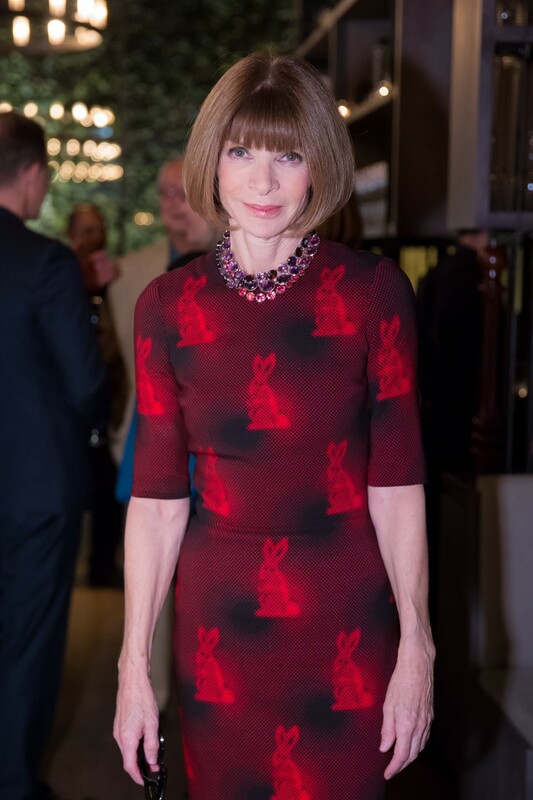 Anna Wintour is on the campaign trail, again! Vogue’s editrix will host a fundraiser in London with Chelsea Clinton for her mother’s presidential campaign, at the home of Net-a-Porter founder Natalie Massenet. The big event will take place on the last day of London Fashion Week, February 23, with a discussion and reception to be held at an undisclosed private art gallery in Mayfair. A ticket, which costs $500 for guests and $1,000 for supporters, includes a photo op with Chelsea. A dinner and reception at Massenet’s home will follow, with each plate priced at a cool $2,700. This is the second fundraiser Wintour will spearhead abroad for Clinton’s campaign. Last season, she hosted an event in Paris, along with Clinton aide Huma Abedin, at American financier James Cook’s residence. The aim was to bring in dollars from wealthy Americans living abroad, particularly those in fashion. In order to attend, guests must be American citizens or permanent residents with green cards, with the exception of spouses and partners.